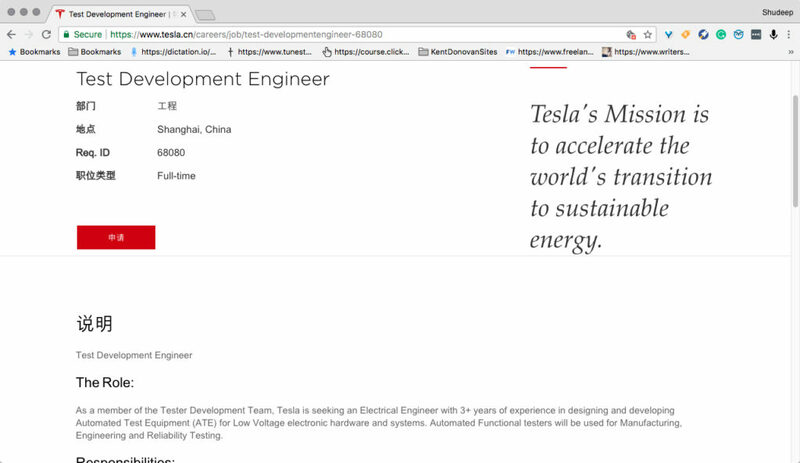 Home Tesla Tesla Already Hiring Engineers for China Gigafactory. Why So Soon? 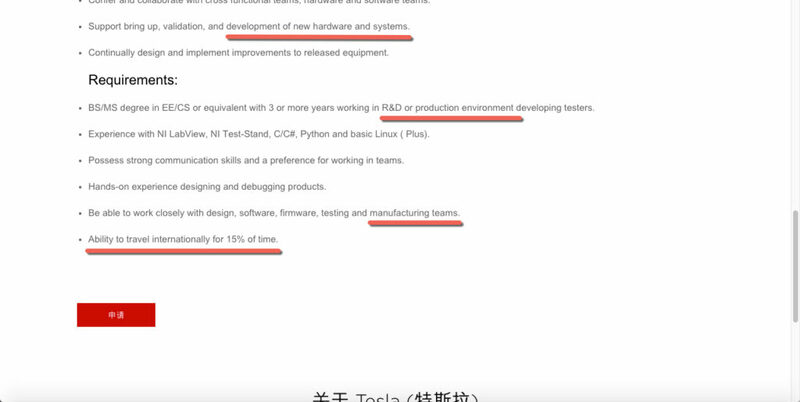 Tesla Motors is now officially hiring for Gigafactory 3 in Shanghai, China. The aggressive move comes hot on the heels of the agreements that the company signed last month with Chinese authorities. To offer a little bit of background, the announcement for Gigafactory 3 wasn’t exactly received with open arms. The media is already on Tesla’s case about its finances, and a new factory originally speculated at around $5 billion – which is what the Nevada Gigafactory was first estimated to cost – might have sunk the company. Now, however, the cost estimate to hit 250,000 cars a year is less than half of that at $2 billion. The company plans to achieve this by leveraging learnings from the Nevada Gigafactory to help reduce CapEx for the Chinese facility. There’s also another reason that Tesla needs to move quickly. The tax situation. With the Trump administration-led trade wars heating up between the U.S. and China, the company was forced to hike prices on Model S and Model X by between $22,000 and $23,000 per car. Ironically, that was two months after an announcement from Beijing about plans to reduce import tariffs for foreign cars from 25% to 15%. The China Gigafactory is now a must-have if Tesla wants to ride the stormy seas of international of trade and succeed in the world’s largest EV market. It cannot compete effectively with the likes of BYD, Beijing Electric Vehicle Corp and ZhiDou with the additional import duty burden around its neck. 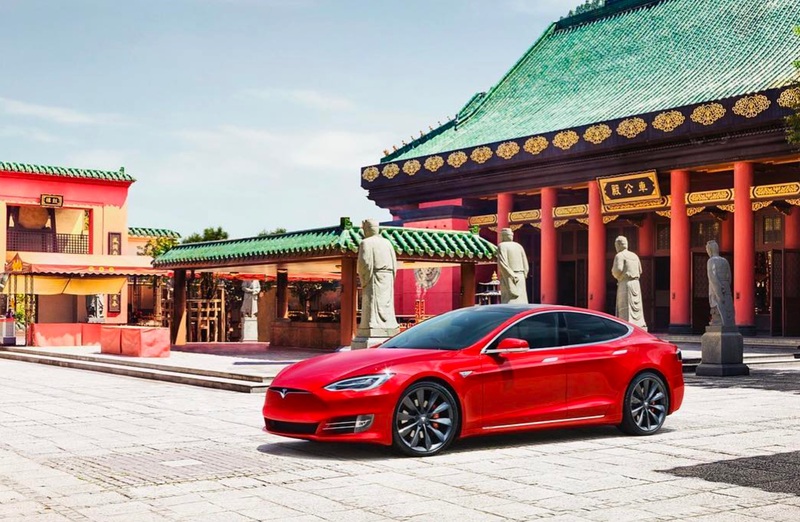 On the financial side, Tesla Motors expects to leverage debt locally from Chinese banks, but the details around this are sparse. The only news about this came from Musk himself after the last earnings call. The timeline for the start of production at Gigafactory 3 is certainly bullish in its own right. The first China-made Tesla EV is expected to roll out of the new factory in 2020. The recent news about hiring for the plant might have been an indication that administrative operations could be starting very soon; but, interestingly, the job posts aren’t for office staff: they’re for machinists and engineers. That’s floor-level hires Tesla is doing, and it has significance because the start of production is two years away. So why would Musk ask his team on the ground in China to start recruiting key technical positions so early? The most plausible explanation is that they’ll be flown over to the U.S. to get hands-on experience at the Nevada Gigafactory, which already does everything that the Shanghai factory will eventually replicate. Major media sites are saying that the China expansion is “key to cash-strapped Tesla’s survival”, but we have a slightly different view at 1redDrop. True, hitting the production date as early as possible will certainly help Tesla’s top line because reservation to delivery timelines will be greatly reduced for Chinese customers. However, that’s not the only thing that will ‘save Tesla from inevitable bankruptcy’, as the naysayers are wont to say. Production schedules in the United States are also being met and exceeded, and we saw more validation of this recently when Tesla registered more than 10,000 VINs for the Model 3 Dual Motor version with the NHTSA over the last few days. So yes, the China factory will help Tesla achieve a better financial dynamic, but it is not the end-all of the company’s existence, as several top analysts – and the Tesla shorts that goad them on – would have you believe. The fast moves that Tesla Motors has been making in China as well as on the Model 3 production front back home in the United States bodes well for Tesla stock. Over the past few days, TSLA has gone from sub-$300 levels to the current $340 levels. The combination of the earnings call and news items around Model 3 production as well as the China Gigafactory have bolstered the stock quite a bit. But wait. Tesla shorts are always waiting in the wings to take advantage of a missed delivery deadline or an increase in expenditure. They’re going to squeeze as much out of this rollercoaster ride as possible. And there’s no doubt that Tesla Motors is going to have its ups and downs as it unheedingly shoulders its way through massive resistance and criticism on its way to becoming the most industry-changing company that the personal transportation segment has known since Ford more than a century ago. In light of what Tesla is going through at the moment, the news of new hires starting in China comes as a breath of fresh air in an otherwise distressing and dank news landscape. Tesla EV Battery for China: Is Something Brewing with Tesla’s IP Now That Panasonic May Not be the Exclusive Battery Partner?